Enough room for my elderly Dad to sit there comfortably, unlike the back seat of the Subaru Forester which was my original first choice. Even with front seat a bit forward to allow for rear seat passenger, plenty of room in the front. 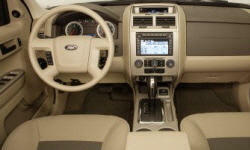 I have a good feeling about Fords, and really like that it was made in the USA (Missouri). 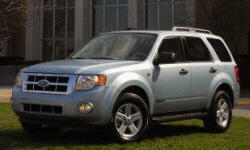 Why Not the 2008 Ford Escape? Surprised by how bad the fuel economy is so far (but have only had a month)... less than 15 mpg for my driving, mostly back and forth to work, 1.5 miles in a small town... but I can live with it because I really love this car.